Neil Mulholland saddled I’moncloudnine to a handicap chase victory at Aintree on day two of the 2009 Northwest Masters and 12 months on the ascendant trainer is optimistic of his charge’s chances in Sunday’s feature race itself, the £100,000 Listed totesport.com Becher Chase (1.45pm) over three and a quarter miles of the world famous Grand National course. Aintree’s excellent seven-race card on Sunday, November 21, is the second and final day of the Northwest Masters that commences at Haydock Park on Saturday, November 20, when the feature event is the £200,000 Grade One Betfair Chase. Fresh from a notable success with stable star Midnight Chase at Cheltenham last week, Mulholland is hopeful that I’moncloudnine can build on his only previous Aintree effort that saw him take the toteswineger Flexibetting Handicap Chase over the Mildmay course by a comfortable 17 lengths. The totesport.com Becher Chase requires a step up on I’moncloudnine’s recent promising fourth behind Meanus Dandy in the Listed Badger Ales Trophy at Wincanton on November 6, but Mulholland believes that the Grand National course’s unique test will be right up the seven-year-old’s street. The Devon-based trainer revealed today: “We schooled I’moncloudnine over Grand National-style fences at home and he jumps them very well - we would be hoping he can make into a Grand National horse in time. His jumping is an asset and he does stay very well, so off a nice weight, 10st 8lb, we will be hoping that he can stay galloping and be competitive at the end. “He won by 17 lengths on the Mildmay course last year and this track will suit him. He‘s in great order, he’s a bit stronger than he was last year and hopefully he is going to improve a bit. “It was a pretty competitive race at Wincanton last time and he just found that everything happened a bit quicker than he liked. The track there was a bit quicker than he will find on Sunday. His jumping kept him in it but he was flat-out the whole way and just kept on galloping. With the bigger fences over three and a quarter miles, the hope is that he can make a good show for himself. A high-class field of 17 has been declared for the totesport.com Becher Chase, headed by the Jim Dreaper-trained Notre Pere, successful in the 2008 Coral Welsh National and 2009 Grade One Punchestown Gold Cup. Also among the runners are the two most recent Scottish Grand National victors, Merigo (2010) and Hello Bud (2009), while Irish Raptor is already a winner over the course, having landed the 2009 John Smith’s Topham Trophy. Champion trainer Paul Nicholls is set to run Gullible Gordon and Meanus Dandy, while others of note include Maljimar, Whatuthink, One Cool Cookie and the 2009 totesport.com Becher Chase third Royal Rosa. 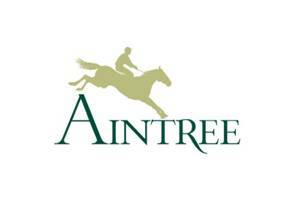 Aintree on Sunday is the only time that racegoers can enjoy two races over the Grand National course on the same day. The other event over the famous spruce fences is the £60,000 totesuper7 Grand Sefton Handicap Chase (12.35pm). A total of 16 horses are declared for the extended two-mile, five-furlong contest, including the Peter Bowen-trained Always Waining, triumphant in the John Smith’s Topham Trophy over the course and distance in April. Trainer Jim Goldie saddled Lampion Du Bost (2007) and Endless Power (2008) to win the totesuper7 Grand Sefton and the first named takes his chance again alongside stable mates Stormin Exit and last year’s third Craiglands. Other contenders of note include Moon Over Miami, Magic Sky, Private Be, and Battlefront. Sunday’s racing kicks off with the £8,000 toteplacepot Maiden Hurdle (12.05pm) over an extended two miles and also includes the two and a half-mile £20,000 Live Football Betting at totesport.com Handicap Hurdle (1.10pm). The popular fixture also incorporates the £12,000 toteswinger Flexibetting Handicap Chase (2.20pm) over three miles and a furlong, and continues with the £8,000 toteexacta Flexi Betting Handicap Hurdle (2.55pm) over two and a half miles, before concluding with the £3,000 totepool A Better Way To Bet Mares’ Standard Open National Hunt Flat Race (3.30pm) over two miles and a furlong. There will be a festive theme to proceedings with Santa Claus and his real-life reindeer on hand to meet children aged under 17, who gain FREE ENTRY to the course if accompanied by an adult. There will be plenty of Christmas shopping opportunities at the course and live Christmas music to provide winter cheer and get racegoers in the Christmas mood. General admission is from £19. Three races will be shown live on the BBC. Clare Balding will anchor the show and will be joined by Rishi Persad, Grand National-winning jockey Mick Fitzgerald and star commentator Jim McGrath. Three races will be broadcast: totesuper7 Grand Sefton Handicap Chase (12.35pm), the Bet On Live Football At totesport.com Handicap Hurdle (1.10pm) and the totesport.com Becher Chase (1.45pm). Cheltenham Gold Cup winner Imperial Commander heads a fantastic seven-strong field for Saturday’s Haydock Park feature, the Betfair Chase, with his rivals consisting of What A Friend, Nacarat, Tidal Bay, Planet Of Sound, Chief Dan George and Atouchbetweenacara. Andrew Tulloch, Aintree's Clerk of the Course and Director of Racing, commented: "The forecast is for generally dry conditions today and over the weekend with the chance of the odd shower, so we should see some drying out of the course. "We are delighted with the declarations for the two races over the Grand National fences. With 16 declared runners in totesuper7 Grand Sefton Chase and 17 runners set to go to post in the totesport.com Becher Chase, we have two cracking contests to look forward to."